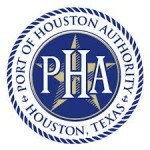 The Port of Houston Authority has Internship positions open. Please find the below link, read all information carefully and apply for the position(s) if you meet the qualifications. If you need help with your application, please contact with Mrs.Ursurla Williams. The internship is a 12-week program typically running from mid-May to mid-August. The student application process takes place from mid-November through the first week of March. Please check our Careers Application Portal page for openings and apply within the system.